I held a kids card class and this was one of the cards we made. 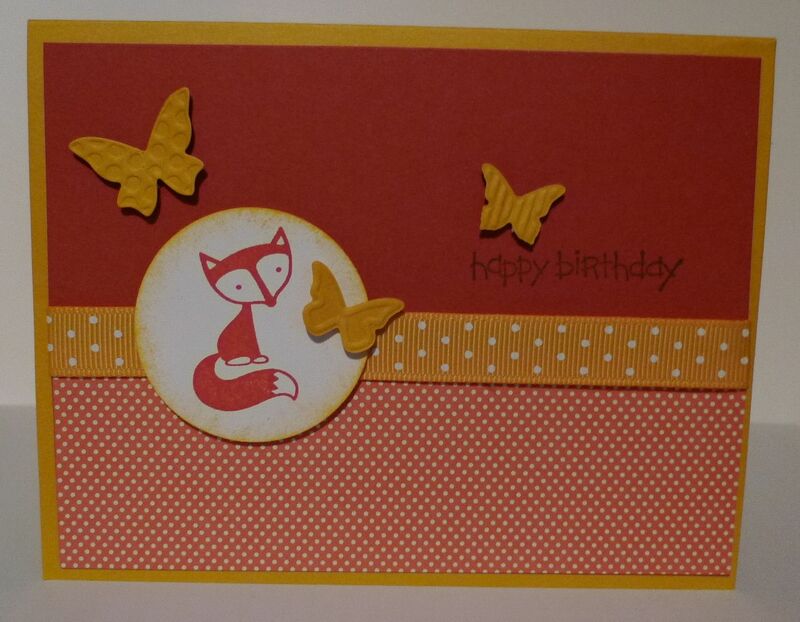 It uses the really cute Fox & Friends stamp set. It's a simple but cute card and I love the colors together.